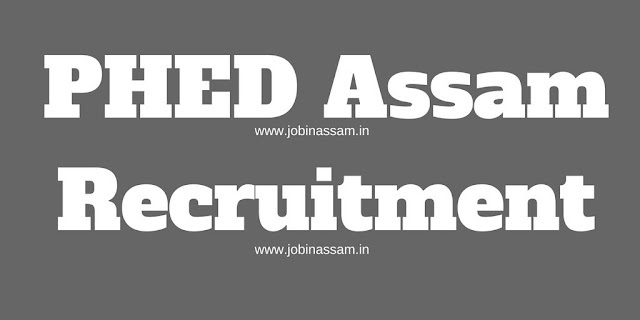 Public Health Engineering Department (PHED) Assam has released recruitment notification for 68 Technical Officer vacancy. You can apply for Assam PHED Recruitment 2017. Public Health Engineering Department, Assam has announced notification for filling up the 68 vacancy of Technical Officer on contractual basis under the Mission Directorate of Swatch Bharat Mission (Gramin). This is a good opportunity for those candidate who are looking Assam PHE Vacancy 2017. For details of Education Qualification, Age Limit, Application Fee and Selection Process, check below article of Assam PHED Recruitment 2017.
aphe.gov.in invites applications from the eligible candidates to recruit in the following posts. Total vacancy is 68 Nos. Monthly Salary- Pay scale of the Assam PHED Technical Officer will be Rs. 20,2000/- to Rs. 25,000/- per month. Require Age- Candidate’s upper age limit is 35 years as on 01.01.2017. Age relaxation in upper age limit will be given as per rule of Department of Assam PHED. Candidate should have done Degree/ Diploma in Civil Engineering from a recognized University/ Institute with a minimum of 50% marks. Candidate should have also experience in area of Community driven rural/ urban development projects or Computer Literate (Microsoft Word, Excel and Power point). Candidate should have good communication skills and have a knowledge English, Hindi and local language. First of all, you should log on Assam PHED Official website i.e www.aphe.gov.in. Then you should click on the notification of “Assam PHED Recruitment 2017”. You should have also attach CV along with application form. Then send it on correct postal address. Examination Fee- For Assam PHE Technical Officer Jobs 2017 candidates are no required to pay application fee. Stages of Examination- Selection of candidate for Assam PHE Recruitment 2017 will be purely based on Written Examination/ Interview. For more details, you can check official notification of Assam PHED Recruitment 2017. Notification is available on www.aphe.gov.in. I have shared all the important knowledge for the upcoming Recruitment here. Assam phed Recruitment 2017 will be a good job for you if you are eligible for the post mentioned above, apply before the last date. Monthely pay for the aphe.gov.in job is also good. Fore more about this Technical Officer in Assam PHED vacancy like our JobinAssam facebook page and twitter page of JOBINASSAM.